There are many ways to travel around London, such as a taxi, the Tube or the bus. However, the only way you can be sure that you will travel in style is by hiring a party bus. Swift Travel can help you get on the road in the most stylish way possible, and here are just some of the advantages you and your friends could enjoy if you choose party bus hire in London as your preferred mode of transport. 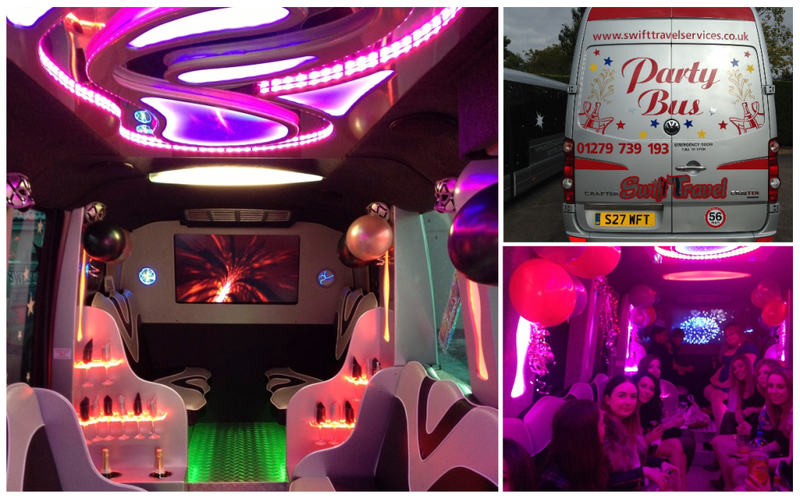 When you’re travelling on a party bus, there’s no need to wait until you arrive to get the party started! Get the tunes pumping, the champagne popping and start partying down the moment you step on the bus. It doesn’t matter where you’re going; on a party bus, you’ll enjoy the journey just as much as the destination. Taxis are a dime a dozen in London and the Tube is far from glamorous, but when the Party Bus is your preferred mode of transport, you’ll find that you and your friends get noticed for all the right reasons. Having to look for a parking space in London is not only difficult, but also expensive. You could be paying a fortune to park your car somewhere that looks a bit dodgy and is miles away from your destination, or you could be dropped off right at the door by your driver having already started the party. The choice is yours! 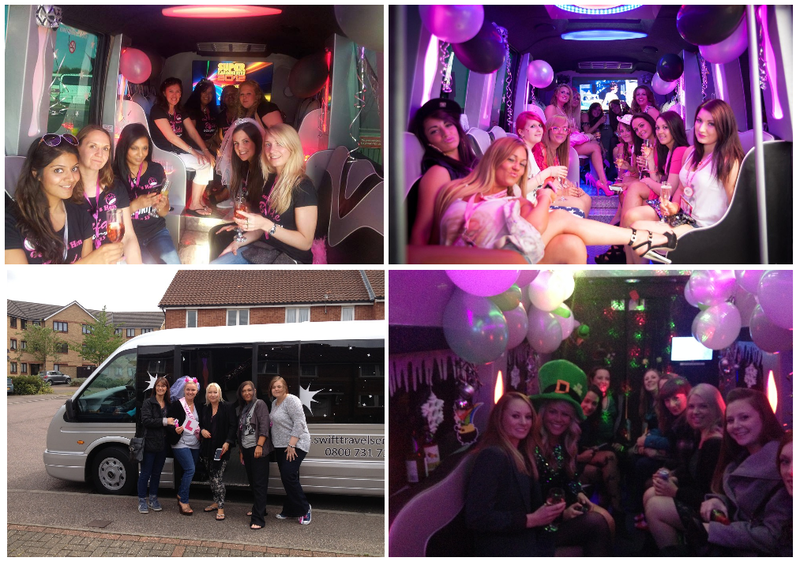 Party bus hire is not only more fun than driving yourself, it’s also a lot safer. By securing a safe ride home, you can ensure that you and your friends arrive home without worrying about finding a taxi, walking in the dark or risking driving over the legal limit. Your party bus driver can meet you right outside your venue, and the party can continue all the way home. As you can see, a party bus is the only way to travel in London. If you want to experience travelling in true style, Swift Travel offer a range of party buses and limousines for you to choose from. For more information, visit our website today or contact us by calling 01279 739193.